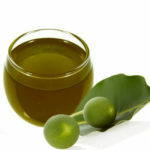 Why Tamanu Oil? 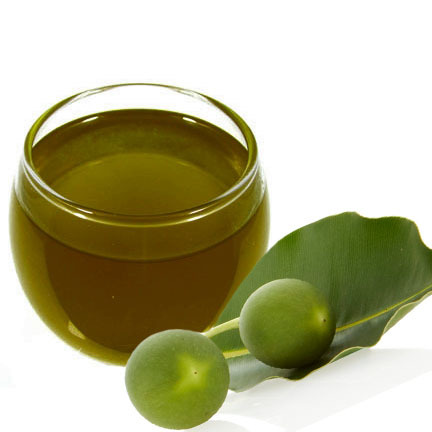 What is Tamanu Oil? Tamanu Oil’s antimicrobial qualities, contains powerful bactericide and fungicide agents and is reputed to have wondrous wound-healing properties promoting the healing of psoriasis, burns, rashes and insect bites as well as solves some of skins toughest problems like acne, inflammatory conditions like eczema and roseacea. Tamanu oil can help prevent long term sun damage to skin and has a rich, woody-spicy scent. Used in skin care not only does is aid in healthy skin but it is also a good water-binding agent or humectant. Why is water binding important? Because there is constant water loss in the epidermis due to evaporation. This is called Transepidermal Water Loss (TEWL) and amounts to several ounces a day. Skin also loses water through sweating. Without constant re-hydration, skin wrinkles more easily. A humectant helps to bind water to the skin, keeping it more hydrated and reducing the formation of wrinkles. 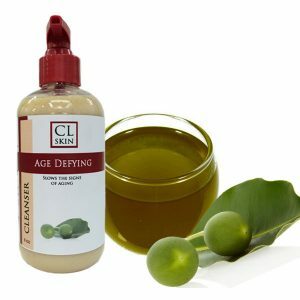 CL Skin uses Tamanu oil in our Age Defying cleanser with a delicate blend of Tamanu oil, Shea Butter, Aloe Vera, Burdock Root, Vitamin C and essential oils to heal, soothe and promote healthy, beautiful, ageless skin. No product can permanently reverse the signs of aging. 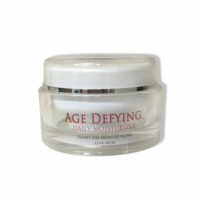 However, products can aid in preventing deeper and more defined wrinkles and sagging of the skin. 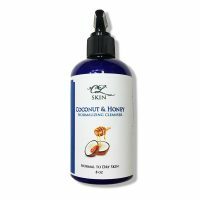 This amazing cleanser is creamy and non-foaming and can be used at any age! 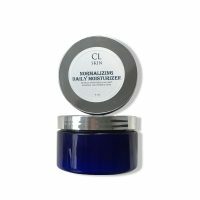 It will help heal acne and acne scarring, eczema, roseacea, minor skin conditions and aid in defying the effects of aging.